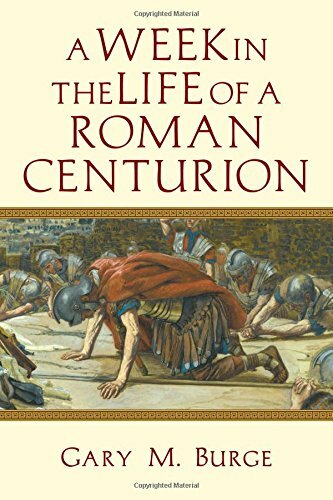 If you’re looking for an enjoyable read that takes you into first-century Israel, I recommend A Week in the Life of a Roman Centurion, by Gary M. Burge. The story follows the familia of a Roman centurion as he moves from Syria to Caesarea to Capernaum, intersecting with scenes and events from the Gospels. I would highlight two strengths of the book. First, the story is engaging, and I didn’t want to put the book down. The action keeps moving, and the characters are fascinating. You see the inner workings of a Roman legion, experience a gladiatorial contest, and witness the tense relations between Jews and Romans. Second, the book is based on extensive historical research. So many interesting details are embedded throughout the narrative, and short sidebars provide additional explanations. Sidebar topics include: friend of Caesar, Chuza of Sepphoris, a Jewish haverim, cosmetics for women, blood sport, honor and shame, opium, and the Capernaum synagogue. In short, this is an enjoyable work of historical fiction. It’s a good story based on excellent research. I will be adding it as a choice for a required book review for my New Testament Survey I class, and I am confident that they will give it high marks. The book is 189 pages and sells for $13 on Amazon (a little less on Kindle).